The Cougars will compete against No. 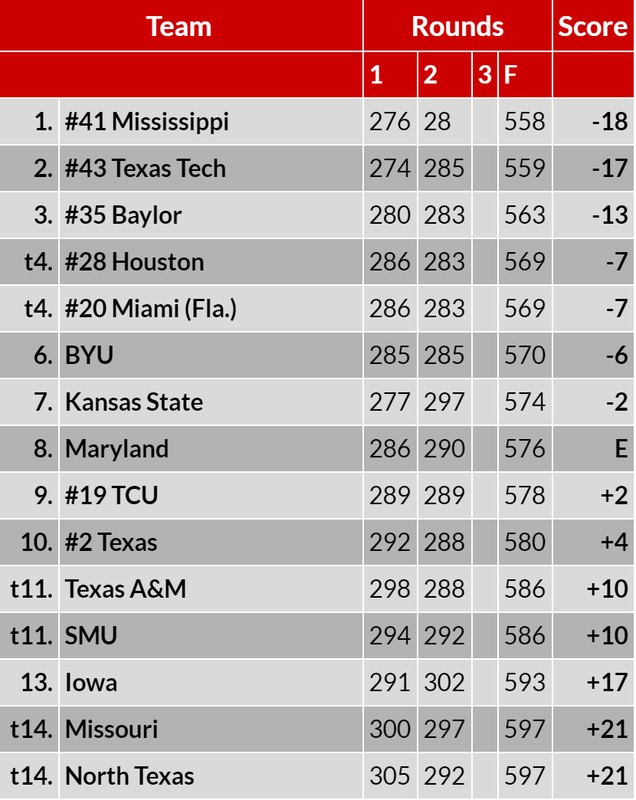 35 Baylor, BYU, No. 37 Iowa, Kansas State, Maryland, No. 20 Miami (Fla.), Missouri, No. 41 Mississippi, SMU, No. 19 TCU, No. 2 Texas, Texas A&M, No. 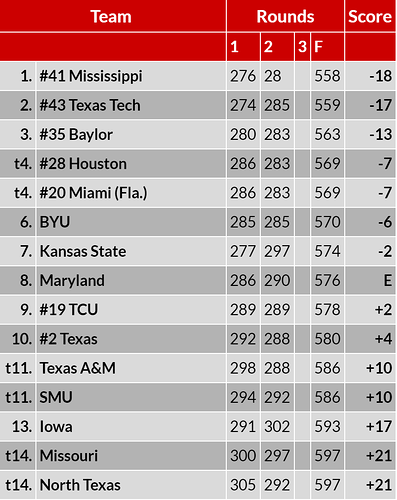 43 Texas Tech and host North Texas. Senior Leonie Harm will close her regular season at the inaugural Augusta Women’s National Amateur Championship, set to begin Wednesday at Augusta National Golf Club. 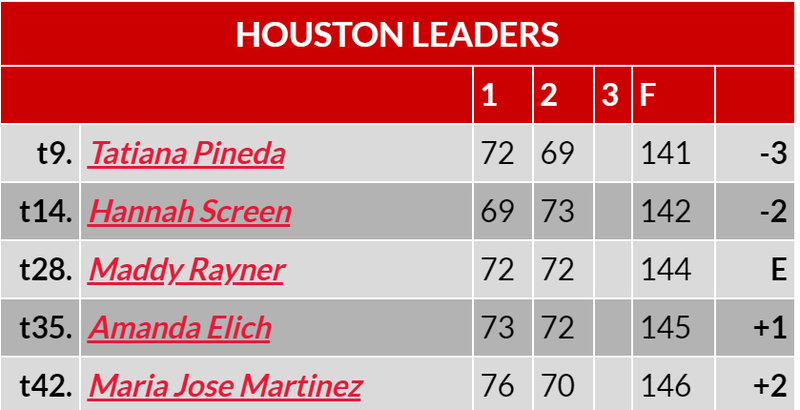 University of Houston senior Tatiana Pineda fired a score of 3-under 141 to finish the first two round of The Bruzzy in a tie for ninth on Monday evening. Nice to see the others stepping up with Ms. Harm heading to Augusta. Program getting better and deeper every year. Great job by the coaching staff. 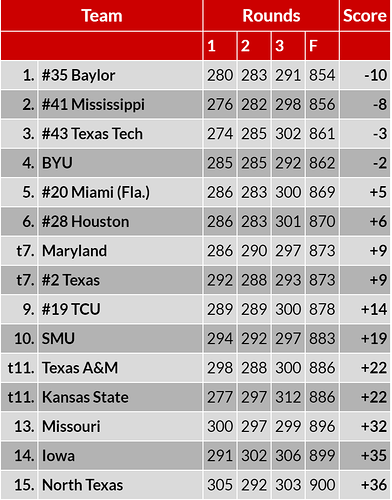 Women finished in 6th place. While Round 3 was disappointing, none of the other teams had a good Round 3 either, so I’m guessing the weather had something to do with the higher scores today. 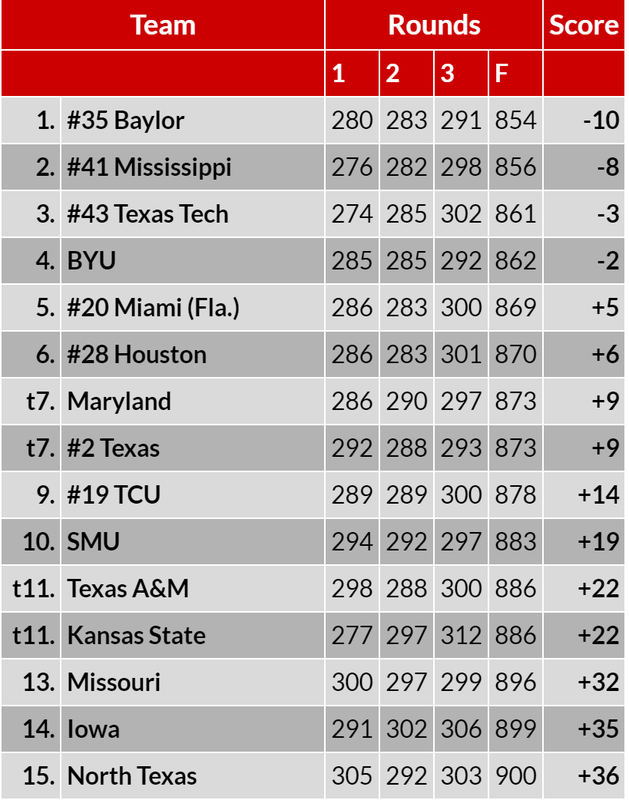 If the Lady Coogs were able to duplicate their Round 2 score, then they would have won the tournament, so overall it was a good performance. 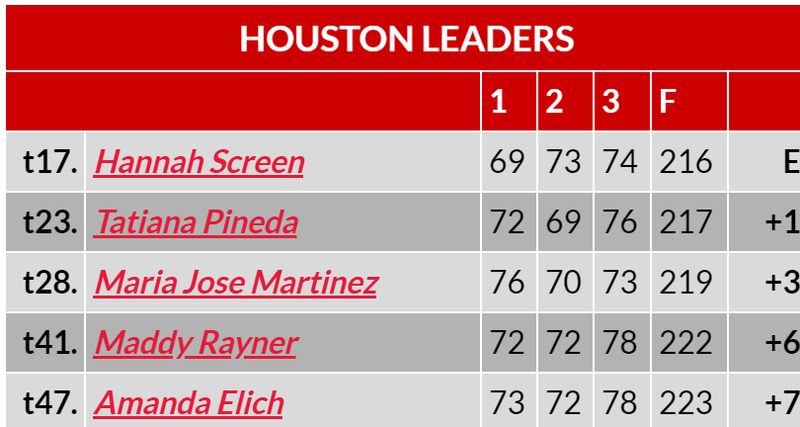 The University of Houston Women's Golf Team capped its regular season with a sixth-place finish at The Bruzzy at Lantana Golf Club on Tuesday afternoon.